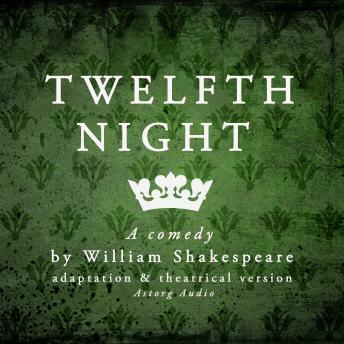 Twelfth Night, or What You Will is a comedy by William Shakespeare. The play centres on the twins Viola and Sebastian, who are separated in a shipwreck. Viola (who is disguised as a boy) falls in love with Duke Orsino, who in turn is in love with the Countess Olivia. Upon meeting Viola, Countess Olivia falls in love with her thinking she is a man. Illyria, the setting of Twelfth Night, is important to the play's romantic atmosphere. Illyria was an ancient region of the Western Balkans. Viola has fallen in love with the Duke Orsino, creating a love triangle between Duke Orsino, Olivia and Viola, being that Duke Orsino loves Olivia, Viola loves Duke Orsino, and Olivia loves Viola.Viola is not alone among Shakespeare's cross-dressing heroines; in Shakespeare's theatre, convention dictated that adolescent boys play the roles of female characters, creating humour in the multiplicity of disguise found in a female character who for a while pretended at masculinity. Her cross dressing enables Viola to fulfill usually male roles, such as acting as a messenger between Orsino and Olivia, as well as being Orsino's confidant.